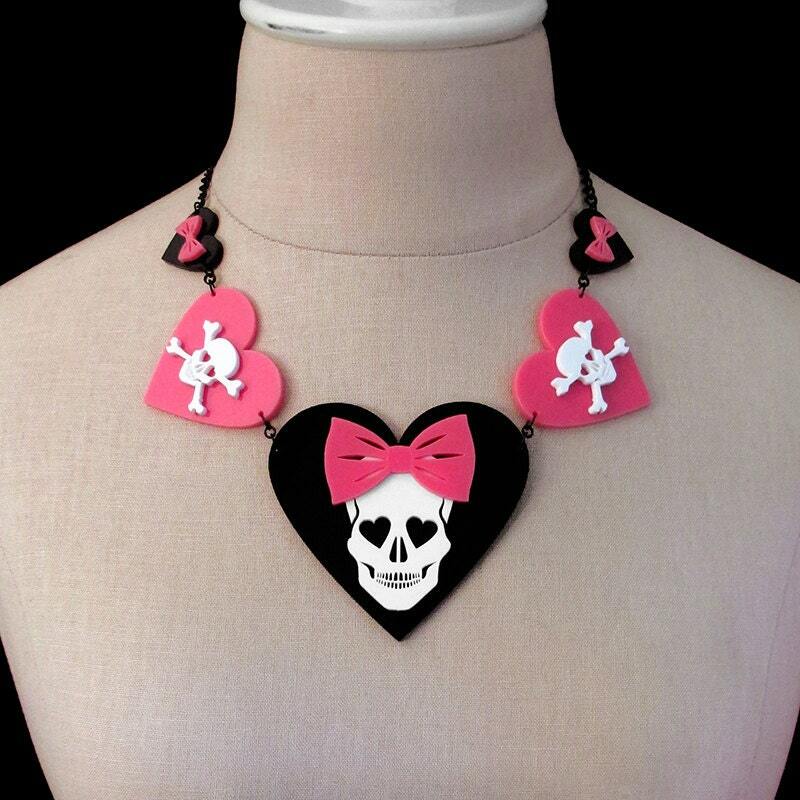 With a Minnie Mouse-worthy bow this Dangerous Heart of a Smitten Girl Necklace is a quirky mixture of girly cuteness and macabre. 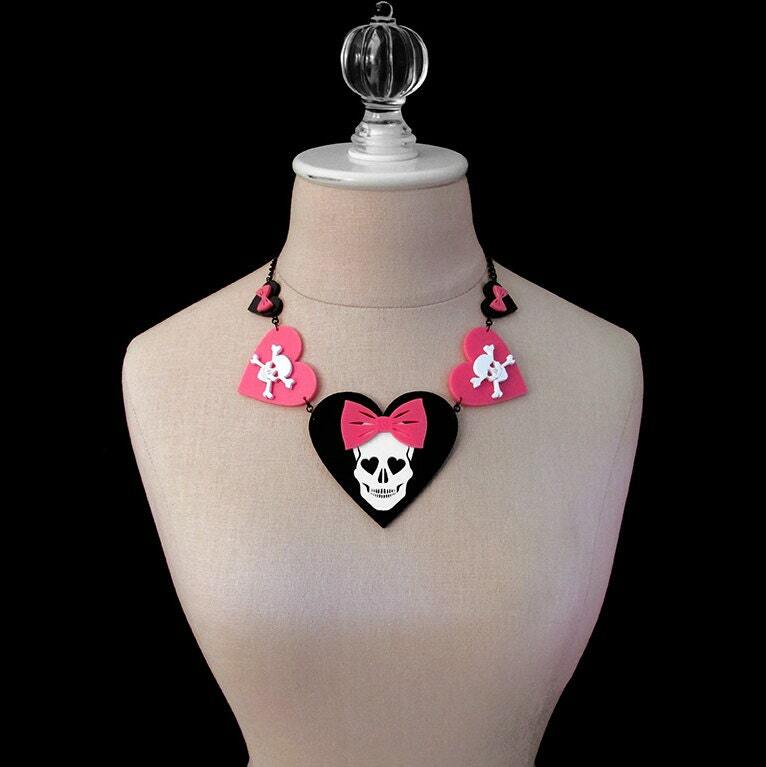 This piece is not recommended for those who like subtle things! It definitely stands out and screams notice me! 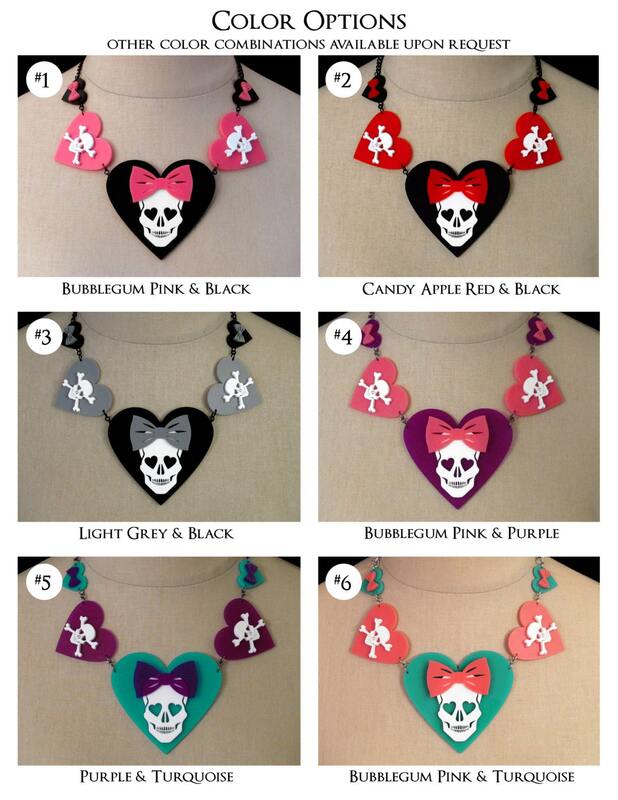 *FREE with purchase of this item you will receive one of our Jewelry Cleaning Cloths! Main Center Heart Piece Size: about 3"
Medium Middle Heart Pieces Size: about 2"
Small Heart Pieces Size: about 1"
If you need a longer or shorter length just let us know in the "note to seller" section of the checkout process or message us.